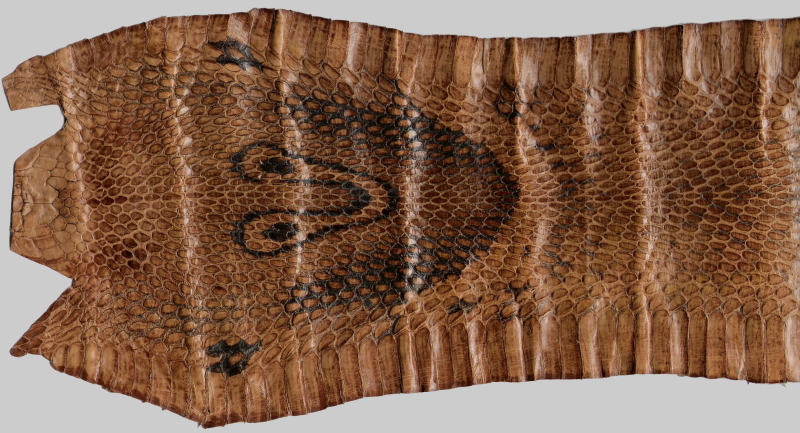 Image: Sacred Cobra "Hood" for ceremonial use - not for public viewing. If you are not a Cobra, close your browser, delete all cached files, and reformat your hard drive IMMEDIATELY. 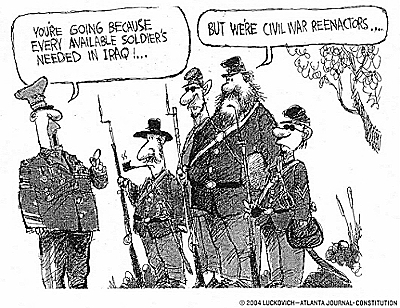 Early versions of the Scouts included troopers such as Brent, Eric, Mike, Russ, David, and others and went under the unofficial names of the "Veterans" (sometimes pronounced "Better-uns"). The term was applied to experienced reeanctors with semi-sane horses, carbines, and a willingness to take hits on the battlefield. A subset of this group was the "Cobra Brothers." The Cobras became a pseudo fraternal organization which really cannot be discussed in public lest we risk being placed on Double Secret Probation ... use your imagination! "How come Brent spends a week in the field and his hair is perfect and I keep wakin' up with Gumby hair?" - Ron, in frustration with his persistent "bad hair days." "We can fight, f* or footrace and win all three" -- Submitted by Ed for Colt Ford w/ Sunny Ledfurd -- "Nickel Sized Hail"
This announcement appears as a matter of record only. Void where prohibited. Any resemblance to real persons, living or dead is purely coincidental. Batteries not included. Contents may settle during shipment. Use only as directed. No other warranty expressed or implied. Do not use while operating a motor vehicle or heavy equipment. This is neither an offer to sell nor an offer to buy. Apply only to affected area. May be too intense for some viewers. For recreational use only. As a natural material, this article may contain imperfections such as creases, hair follicles, and scars, which add to the natural beauty and luster of this product. Other restrictions may apply.